I spoke with Esther Mugabi (John’s wife) this week on the phone. 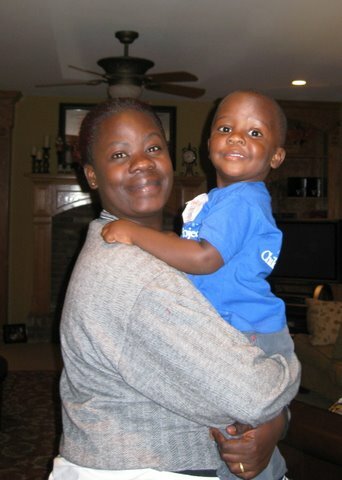 She is currently in St. Louis, MO with their son Cephas (who had a heart procedure donated through Samaritan’s Purse). Esther shared with me, in a quite matter-of-fact way–which I just love!, that the other woman with whom she traveled, Mastula (also traveling with a son who is having a heart procedure) WAS a Muslim. She is now a believer in Jesus Christ. 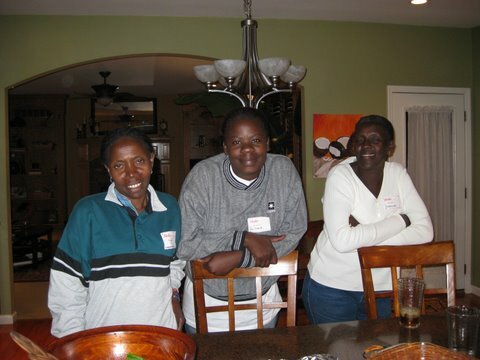 Esther (in the center), Mastula and the translator- hosted by Dennis and Vicki Edwards in St. Louis. THANK YOU! Mastula lives about 3 hours from John and Esther. Her family presumably is Muslim, and when she returns to Uganda, she will be able to take the truth of the gospel of Christ to her family. And all because the Lord saw fit to put Esther and Cephas on a plane with Mastula and use Esther as an instrument of righteousness. Sometimes the Lord gives us the privilege of glimpsing inside his Kingdom work. Things that don’t make sense, suddenly come alive with eternal meaning. When we endure hardships (and certainly watching Cephas suffer for 18 months was a hardship), those hardships are used to bring glory to God. In this case, Mastula was brought from death to everlasting life. All glory goes to Him!